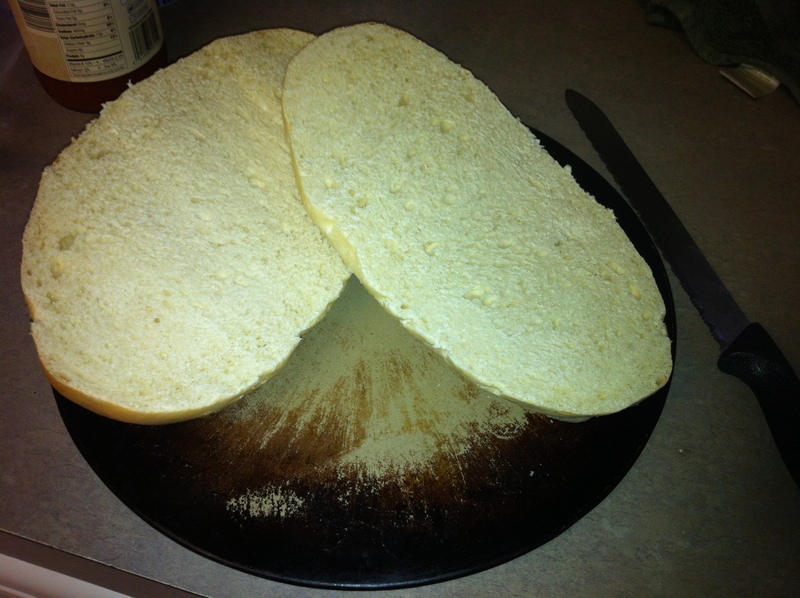 If you go back and look at my post, you will find that MANY of them are the various kinds of bread that I make. I LOVE making bread. Well. Here is a family favorite at my house. 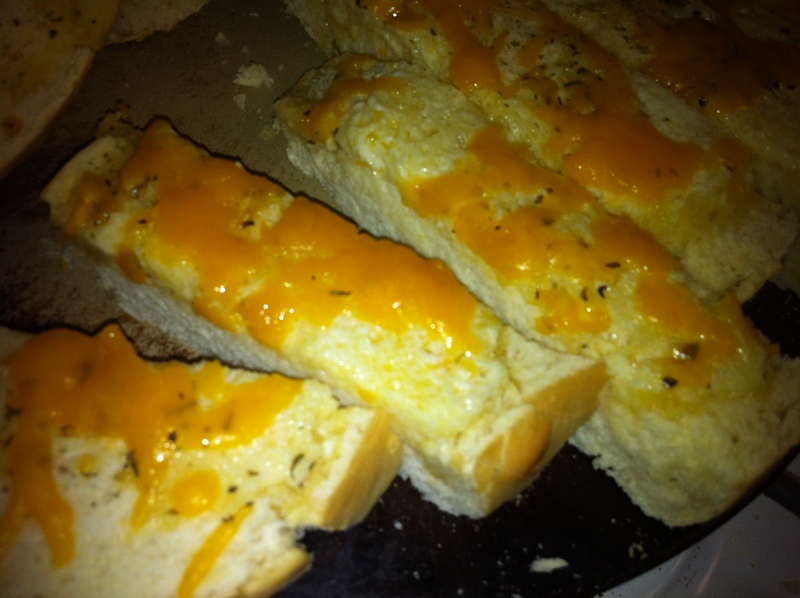 It is full of buttery garlic and stringy cheese. It is a perfect complement to any meal. I start with my yeast dough. Often, I make this bread a couple of days ahead of time and just put it in a ziplock bag in the refrigerator. Then, when I am ready for it I just pull it out. I slice it in half. 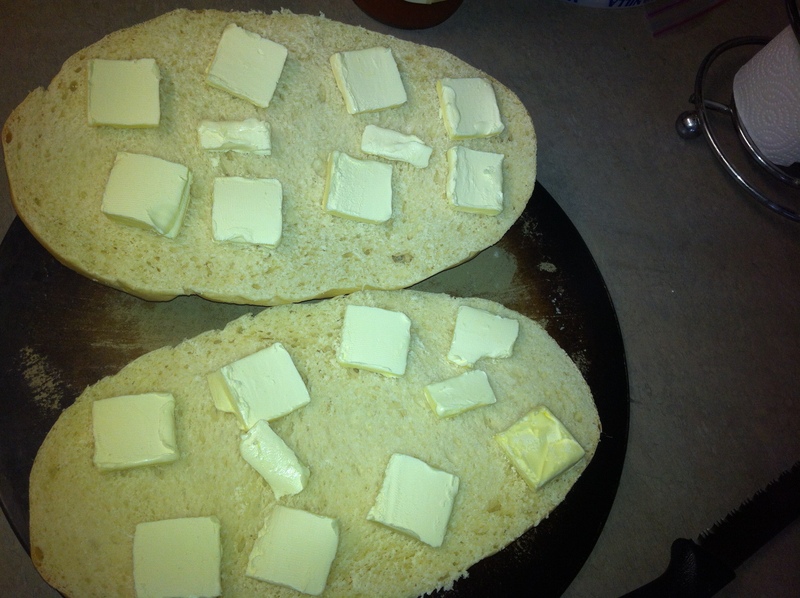 Take a stick of butter and slice it into about 16-18 thin pieces and place them all over the bread. 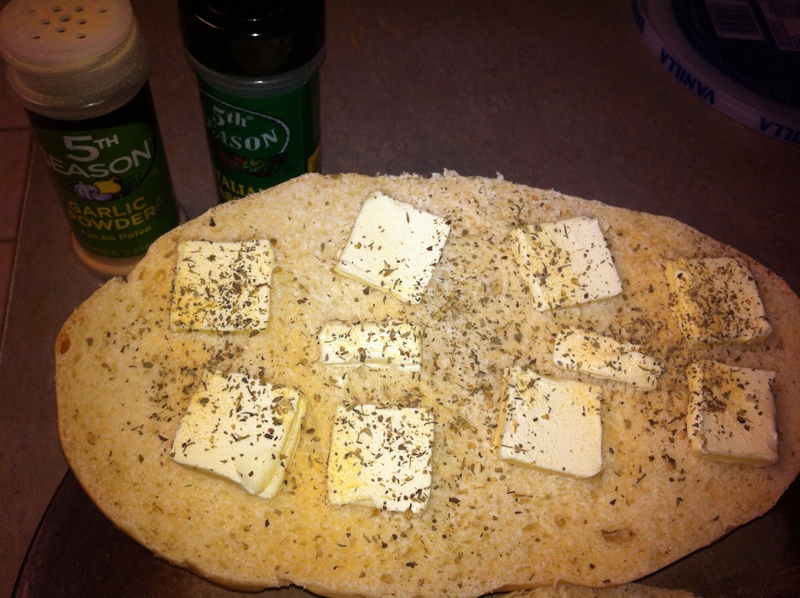 Then I sprinkle the bread with Italian seasoning and garlic powder. 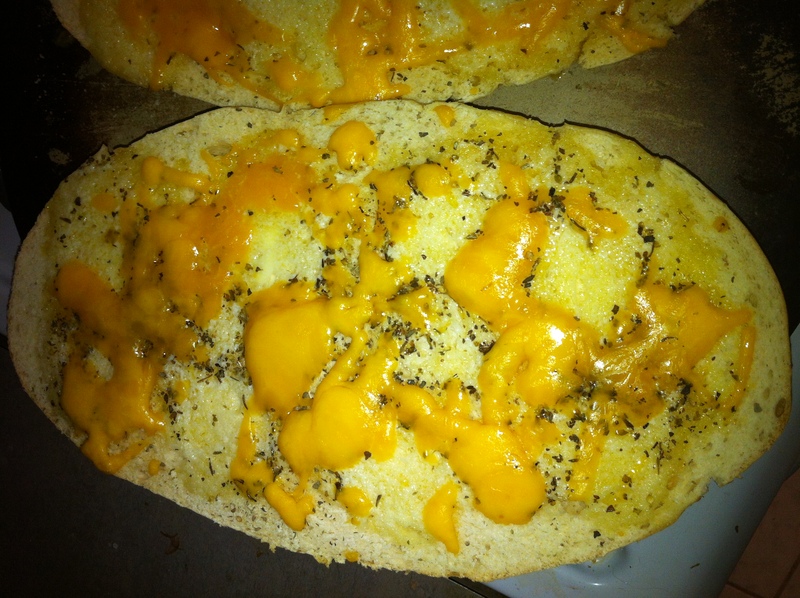 Then I sprinkle cheese on top. It doesn’t matter what kind of cheese. I have used several. 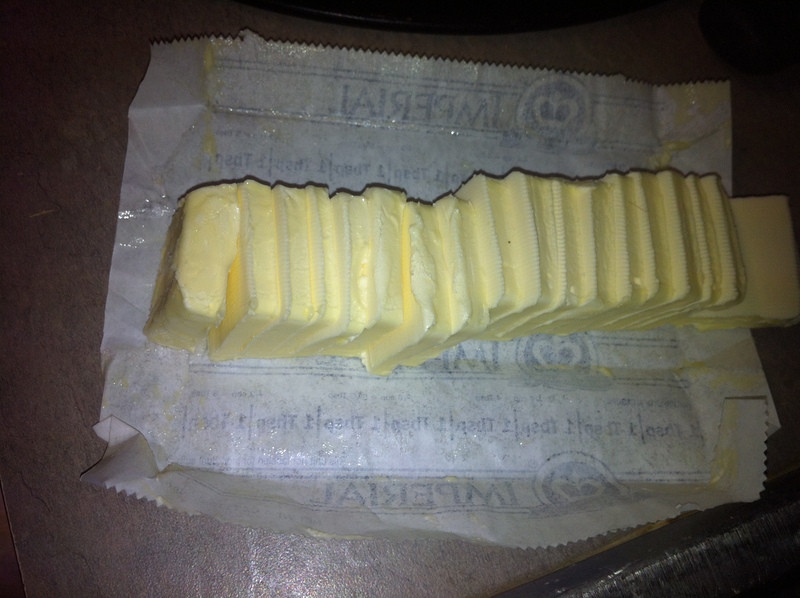 Today, all I had on hand was cheddar.Pop it into the oven for about 8-10 minutes. Let it rest for about 5 minutes and then slice! An outstanding share! I’ve just forwarded this onto a friend who has been conducting a little homework on this. And he in fact bought me breakfast due to the fact that I found it for him… lol. So let me reword this…. Thank YOU for the meal!! But yeah, thanx for spending the time to discuss this matter here on your blog.